Countdown to Meltdown: Doomsday scenarios for "Hallucinating Homebuyers"
"Understanding the deep changes the United States and the rest of the world will experience as early as this decade, he said, could be the deciding factor in which thriving communities of today become the ghost towns of tomorrow." "The middle class will become distressed, the construction industry flat, interstate hauling will disappear, airlines will become toast and our daily lives will be defined by what’s within walking distance." "Suburbs, large cities and McMansions will become slums." The good news is that “Some communities will fair better than others during the “Long Emergency.” So how do you find one if you are planning on buying a home this year despite repeated warnings of the real estate bubble? "Commuting will be out of the question, of course, and those 'with the forethought to trade in their suburban McHouses for property in the towns and small cities, and prepare for a vocational life doing something useful and practical on the small scale' will fare better than those who live on the outskirts of town and work for a national corporation..."
"Although individual wealth may very well be predicated on land, Kunstler predicts that true well-being during the “Long Emergency” will be in the individual’s worth to his community." 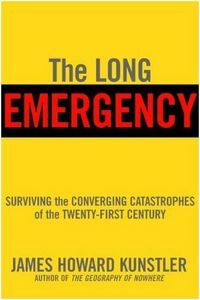 The Long Emergency seems tame by comparison to the "repossession riots" that James Fallows speculates about in his upcoming article, "Countdown to a Meltdown: America's coming economic crisis. A look back from the election of 2016," which will be published in the July / August issue of The Atlantic Monthly. Watch for an audio file from tonight's interview on NPR's nationally syndicated program, OnPointRadio.org. Are lizard brains driving "irrational exuberance" in real estate? "In contrast to old-school assumptions of cool-headed rationality, the new behavioral school embraces hot-blooded human irrationality as a core feature of both individuals and financial markets. The 2002 Nobel Prize in Economics was awarded to scholars of this new scientific approach to irrationality. ...The human brain contains ancient structures that exert powerful and often unconscious influences on behavior. This "lizard brain" may have helped our ancestors eat and reproduce, but it wreaks havoc with our finances. Going far beyond cataloguing our financial foibles, Dr. Burnham applies this novel approach to all of today's most important financial topics: the stock market, the economy, real estate, bonds, mortgages, inflation, and savings. This broad and scholarly investigation provides an in-depth look at why manias, panics, and crashes happen, and why people are built to want to buy at irrationally high prices..."
How should smart home buyers protect themselves? Make every single financial decision rationally, not emotionally, says Burnham. Analyze your own behavior, find out where your emotional weaknesses are, and act in rational ways to counteract them. Most economists believe that people are rational but over the past 20 years they have found that is not the case. People make all kinds of mistakes, driven by emotional non-rational factors whether they are evaluating stocks, bonds, or housing. When asked by The Motley Fool if he would buy, sell or hold real estate right now, Burnham said, "Real estate is not a bubble, but it is overpriced. ...the reason it has gotten there is that people have been fooled by low interest rates." Burnham's bottom line advice in the radio interview today: "Don't buy, I say "hold" as I do in the book." Chapter Nine, entitled "Live in Your Home; Make Your Money at Work" includes a seven page subchapter on the housing bubble. You can view the table of contents, index, and reader reviews on Amazon.com. I haven't read the book or the section on the housing bubble yet but am eager to do so. 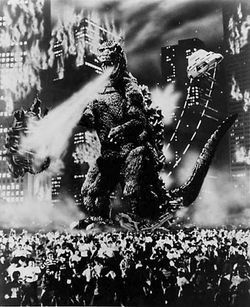 What's your take -- is the irrational exuberance in the housing market being driven by our lizard brains or something else?